XL White wired rose. Approx. 80mm diam. 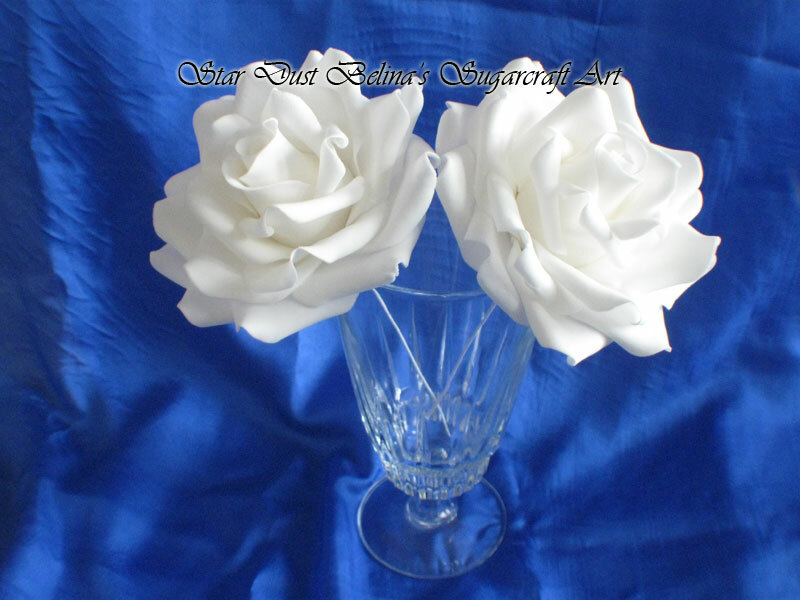 This roses can be used with other flowers to create beautiful cakes,cupcakes decorations and bouquets.